Boring oats ko bolo bye-bye! The new age Moms now have a great new age snack which their kids will love. A cool and delicious way to get kids to enjoy eating lots of veggies. 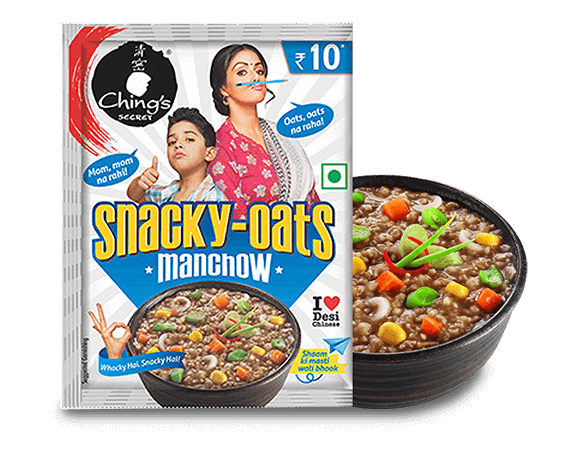 Ching's Snacky Oats are the wackiest new way of snacking! 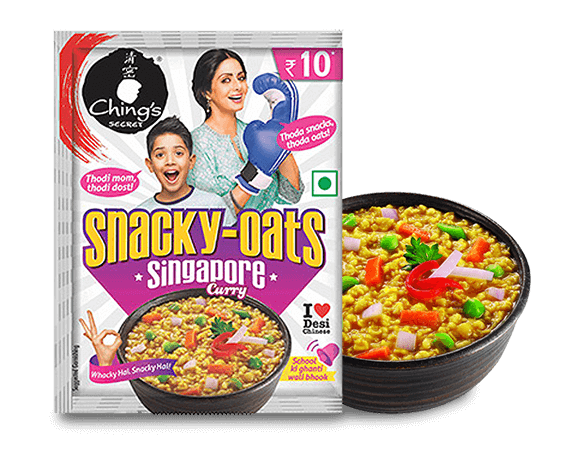 For the first time ever Oats are now available in three whacky Desi Chinese flavours - spicy Schezwan, mouth-watering Manchow and sensational Singapore Curry. 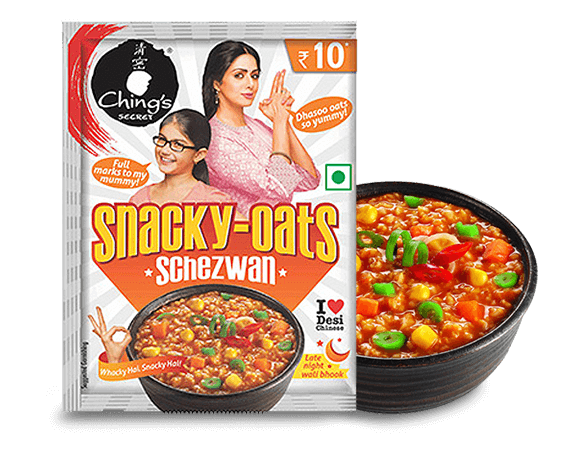 Ching's Snacky Oats are also perfect to bust any kind of bhook – be it 'school ki ghanti wali bhook', 'shaam ki masti wali bhook' or 'late night wali bhook'.